How did you hear about Outdooraholics? A group of people dedicated and committed to making the great outdoors more accessible to everyone. 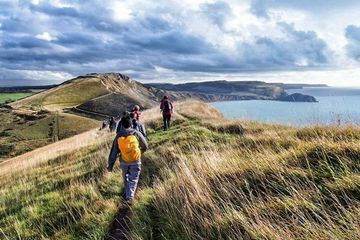 With over 32,000 members, we have now organised over 1,300 hiking trips including day walks, weekend hiking trips and an increasing range of foreign hiking trips travelling to Europe and beyond for adventure travel holidays. 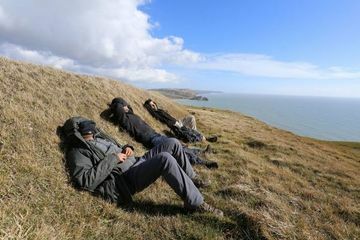 Between our 3 most senior hike leaders we have over 50 years of experience of leading hikes across the UK as well as an ever increasing range of international trips and tours. 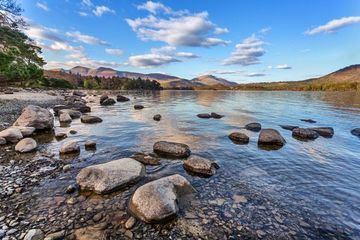 We have every corner of the UK covered from Snowdonia in Wales to the Lake District, the great Scottish Highlands and even the far off corners like Cornwall. We have 47 different day and weekend trips that have all been pre hiked and meticulously planned. We organise all the logistics for our hiking trips so that you can just turn up, walk and have a great time and meet new people while enjoying the great outdoors. 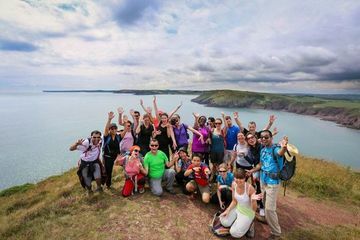 If you enjoy hiking and are based in the UK, Outdooraholics is for you and we look forward to welcoming you to the group! We're mainly in our mid 20s to mid 40s, but age is no barrier as long as you are young at heart and over 18. In fact, one of our hike leaders is 67! 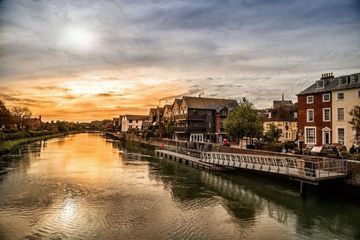 Most of our members generally either live or work in London, although we have people from all over the UK attending and we've had several people visit from abroad for our trips and join us at our destination. 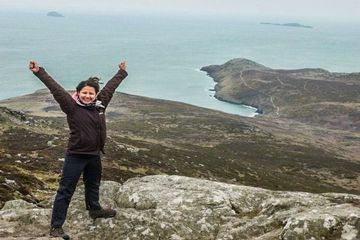 After all you don't need to live in London to visit Cornwall, Wales or the Lake District! We have a lot of international members - either here on work placements or to live and this brings a superb cultural variety and mix of life experiences to the group and helps to make our trips so interesting and diverse. Can I really turn up alone? Yes of course - most people do! Please don't be nervous about attending your first event - we have all been in the same boat at some point of turning up at an event alone and knowing nobody. 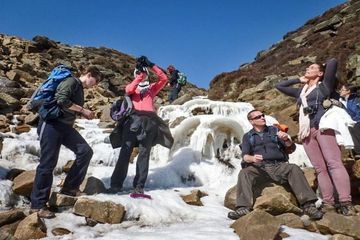 To help introduce people to the group and indeed hiking we have designed 27 different hiking day trips which are a superb way to come and meet the group and we can assure you of a very warm welcome whatever event you choose and there are bound to be others who are attending their first event too. 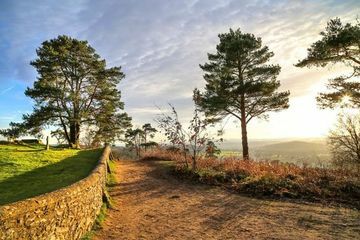 Hiking is a great way of meeting like minded people whilst keeping fit and seeing wonderful places too. If you are nervous about committing to a weekend trip, please don't be, almost everyone has turned up to an event before without knowing anyone and we all know what it's like. 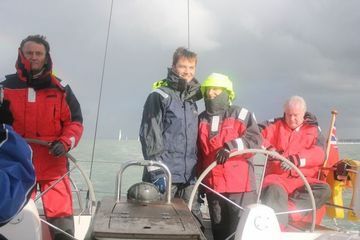 To help new members into the group we run 4 to 6 day trips a month which are an easy and low cost way to try our events. What hiking trips do we organise? We organise typically 6 to 8 day hiking trips a month and have 27 tried and tested routes that we use from London. All are pre walked and are picturesque routes that we carefully choose. 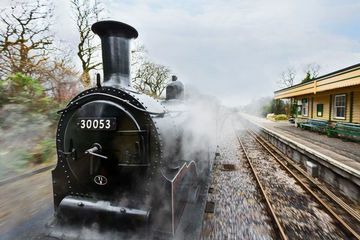 All trips leave from a central London station and we arrange train tickets, so you can just turn up and enjoy a great day out with us. 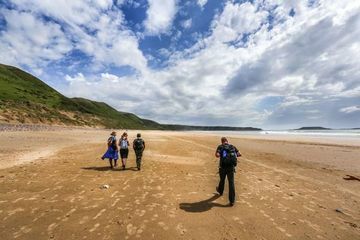 We organise 3 to 6 weekend trips a month to all corners of the UK, showing you the very best that this country has to offer. We typically rent an entire Youth Hostel just for our group and after a great days hiking then either go to a local restaurant or cook at the hostel. We have over 18 different weekend trips and are adding new ones all the time! We have a professionally trained chef who joins many of our trips and we regularly visit all of the UK's National Parks and designated "Areas of Outstanding Natural Beauty"
We offer an ever increasing variety of trips from 3 nights up to a week and will be having a number of new trips added in 2015. Where possible we aim for twin bed rooms and put the meticulous planning into our foreign trips so that you can have a great time and get to see the best of the area that you're visiting. It is a legal requirement (as well as advisable for safety) in many foreign mountainous locations to have an internationally qualified guide and for many of our foreign trips we have a local or native speaking guide. What else do we organise? As well as walking trips, we organise several pub socials per year in central London locations as well as discount nights at outdoor stores in central London. Sky diving, coasteering, camping, canoeing and hiking weekends, horse riding, paragliding, parachute jumping, pot holing, yoga breaks, fitness weekends, SCUBA, travel, sightseeing, travelling abroad, indoor and outdoor rock climbing, skydiving, cycling, trekking, backpacking, yoga breaks and tours, holiday getaway breaks, travelling, adventure weekends, sailing, coast walking, long distance walking, caving, fitness weekends, hiking abroad, rock climbing, Go Ape, zip wires, navigation training, historic sightseeing, countryside conservation, overseas trips, the 3 (three) peaks challenge, tennis, hiking and abseiling, go karting, exercise and activity weekends for hikers, treasure hunts, paintball, photograpy exhibitions, treasure and scavenger hunts around London, Paint-ball, charity trips and charity adventure nights with Hope for Homes, badminton, squash, recreation weekends, gorge walking, navigation courses, culture trips, community trips, sea kayaking, kayaking along the Thames, via ferrata walks, orienteering, sailing, exercise boot camps, target shooting and clay pigeon shooting, shopping discount evenings at Cotswold Outdoors. Not forgetting of course photography sessions! 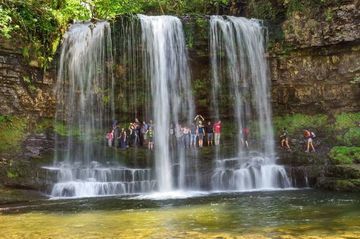 Starting with our first multi activity weekend to the Brecon Beacons nearly 3 years ago, we offer a variety of these weekends where you can try activities such as abseiling, cycling, caving, canoeing, scrambling, kayaking or surfing as well as hiking of course. We're affiliated with two London cheese and wine groups and have even hosted cheese and wine evenings on our weekends! South Downs, North Downs, Devon, Cornwall, The Lake District, Wales - Snowdon, the Gower and the Brecon Beacons, Dartmoor, the Peak District, Yorkshire Dales and Moors, the Chilterns, Isle of Wight, Kent Downs, Surrey Hills, the Cotswolds, Dorset, the Lake District, The Yorkshire 3 Peaks Challenge, the National 3 Peaks Challenge, the Yorkshire dales and moors and on up to Scotland and Ben Nevis. High Atlas mountains, Everest Base Camp, the Pyrenees, the Dolomites, Granada Mountains, Nepal, Goa, Kilimanjaro, Andalucia and as the group grows we will continue to offer many more too! What trips are we planning for the future? We are forever expanding our trips and have some wonderful destinations that we will be hiking to in the future. 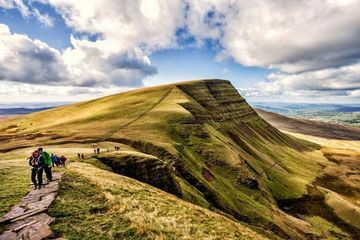 Brecon Beacons, Norfolk Broads, Cairngorms, Dartmoor, Exmoor, Lake District, Loch Lomond, New Forest, Northumberland, North York Moors, Dark Peaks, Peak District, Pembrokeshire Coast, Snowdonia, South Downs and the Yorkshire Dales. Arnside and Silverdale, Chichester Harbour, Chilterns, Cornwall, Cotswolds, Cranborne Chase & West Wiltshire Downs, Dedham Vale, Dorset, East Devon, Isle of Wight, Kent Downs, Lincolnshire Wolds Malvern Hills, Mendip Hills, Nidderdale, Norfolk Broads andCoast, North Devon, North Pennines, Northumberland Coast, North Wessex Downs, Quantock Hills, Shropshire Hills, Solway Coast, South Devon, Suffolk Coast and Heathlands, Surrey Hills, Tamar Valley Lake District and the breath taking Wye Valley. 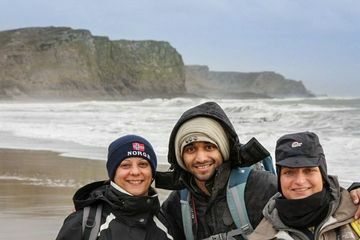 We also run and are planning a number of trips abroad including: Kilimanjaro, Nepal, hiking to Everest base camp, Tenerife, Croatia, Slovakia, France, Poland, The High Tatras, Russia, The Alps, Gran Canaria (Canary Islands), the Dolomites, Morocco and the High Atlas Mountains, Norway, Italy, Iceland, The Fjords, the Pyrenees, Andalucia, The Pyrenees and the Amalfi Coast. 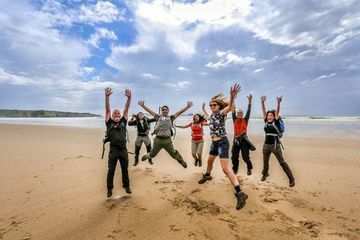 Quite simply - we all share a passion for the great outdoors and with all of our trip leaders being born and raised in the UK with a life long love of hiking, we can't wait to show you this great country! We have so many wonderful experiences on our trips and many people have found a new love of the outdoors, met their partners through Outdooraholics and made what are likely to be lifelong friendships. We offer a range of superb value yoga retreats in the UK, which we call Yogaholics trips. We take your safety and the great reputation of our yoga/hiking trips very seriously and we only ever use professional full time yoga instructors. We also typically have a professional chef to ensure we have wonderful, healthy and revitalising food. We follow the same great formula as with our hiking weekends - great organisation, great home cooked food, pre planned and hiked routes and highly experienced hike leaders and using hostels allows us to do this at a great price too. We look forward to bringing you an even more expanded range of Yogaholics trips as we enter our 4th year of these Yogaholics trips in 2015! A very good question. 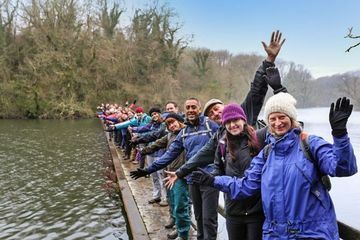 There are some superb London based walking groups on Meetup - Backabush are well known for over a decade of organising superb hiking weekends and brought the whole concept of great value hiking trips to Meetup and Trailblazer have been organising an excellent and huge range of days hikes for over 5 years now. 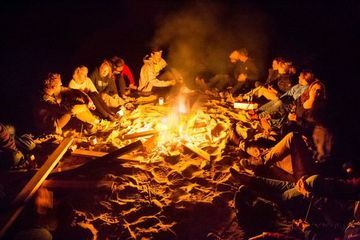 Both groups we highly recommend and regularly hear great things about their trips and both have inspired many other groups to offer similar events to theirs. 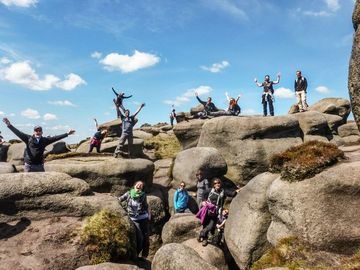 1000 Foot Hiking club is also highly recommended - run by some inspirational people on a non profit basis with all money raised going to a water aid charity. Except for Outdooraholics most of the major London hiking groups on Meetup have evolved out of Backabush and Trailblazer and generally run the same format as their trips. Whilst we'd be lying if we said we weren't inspired by the great trips these groups run, we wanted to do something different and new and created Outdooraholics from scratch and we believe giving our trips a quite different flavour. We took a very simple idea as our basis - of organising all of the logistics for our hiking trips so that you don't have to. We advise you what to bring, you turn up and you'll have a great time. All of our trips are run by trip leaders from that particular country so we believe they can show you the country and culture like only a local can. 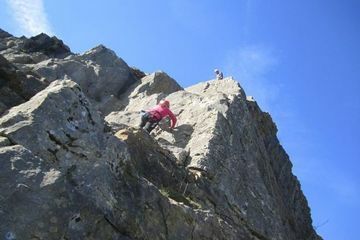 We organise an equal mix of day hikes and weekend trips and put the same detailed planning into both. 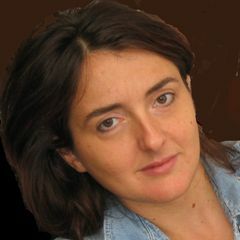 We also try to use local tour guides for the majority of our trips so that you can get a proper insight in to the history, culture and country that you're visiting - after all you wouldn't expect to visit Russia for example and be "shown" the country and it's cultures by a British person! We plan all of our trips in advance including the routes that we take to ensure that we show you the best of an area and also that we know what the risks are on the tracks and indeed that the trails are passable and safe. All of the photos on our trips are taken by one of our hike leaders, from that trip, on the paths that you will actually be hiking so that you can best decide which trips appeal to you. The great outdoors does carry risks which is why we pre walk and plan all of our routes and trips. 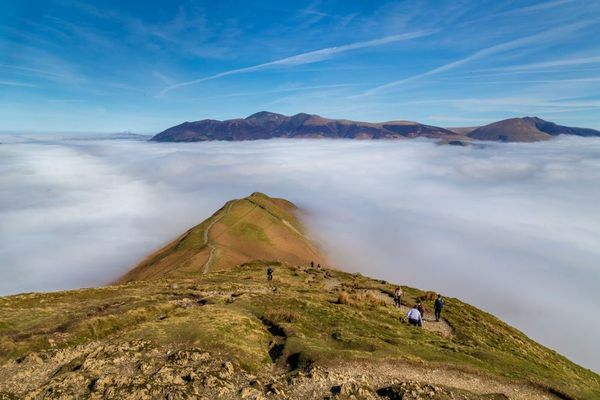 We believe we offer the most diverse range of both day hikes and weekend trips available in the UK. We only offer superb trips and we even have a professional chef who joins us on many of our weekend trips to offer great food, which is much appreciated after a tough days hiking. Our main hike leader has undertaken both a four day Walk Group Leader course accredited by the MLT (Mountain Leader Training) and a six day Mountain Leader course (also accredited by the MLT) as well as having a two day outdoor Activity First Aid course and over 20 years of extensive and diverse hiking and leading experience. All of our trips are run by very experienced hikers with Outdoor Activity First Aid qualifications and most of our trip leaders are a minimum of Mountain Leader trained with 2 of our trip leaders having a military background. Sadly the outdoors always presents risks but through our experience, training and careful planning as well as pre planning and walking all of our routes we do our best to minimise those.